Rent Car Toyota Yaris Samui. Low rates, no passport deposit. Toyota Yaris rental on Samui. General information. 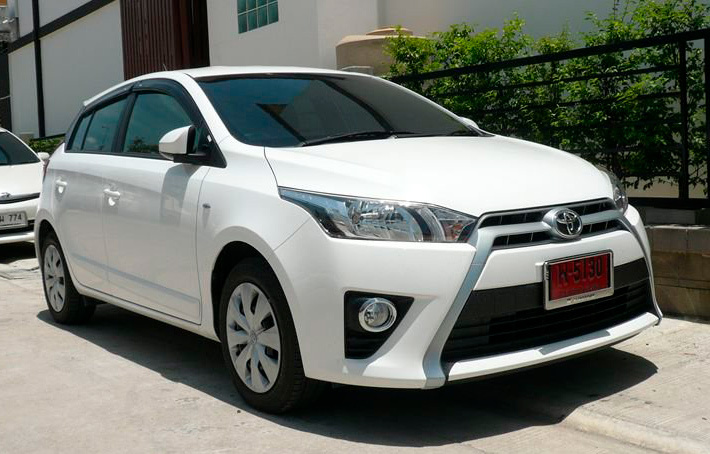 Why to rent a Toyota Yaris on Samui is the right choice. The Toyota Yaris is a five-seat compact hatchback car with a 1.2-liter engine. We have the latest Yaris model in our car fleet, which has been produced in Thailand from 2013. Compared to the previous one, it has modern styling, enhanced interior transformation options and high-quality design. 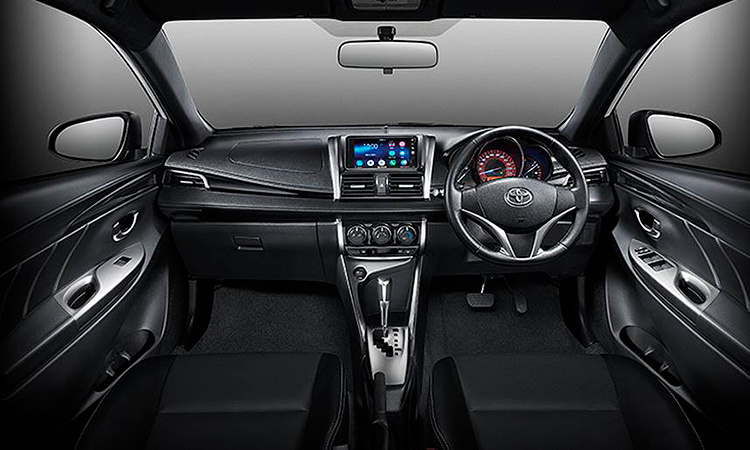 The second generation Toyota Yaris is slightly larger than its predecessor (mostly in length), and has introduced many useful innovations such as a digital dashboard, additional storage compartments (up to a total of 10 liters), etc. The new model radically changed its appearance – it looks like a super car: stylish lighting equipment is perfectly complemented by an original front grille and a huge hood vent, as if borrowed from a crossover. Why a Toyota Yaris is a great choice for renting on Samui? First of all, of course, it is the price. It is in the cheapest group of compact cars. So, in many respects it surpasses not only cars of its group, such as Honda Brio and Mitsubishi Colt, but also many full-size cars, despite the latter being more expensive. Contrary to its compact size, the Toyota Yaris is a spacious car. Compared to the previous model, it has become much more spacious, especially in the back. The cargo space has also increased significantly. When in the standard position, the cargo space is 272 liters, which is a class record. With the rear seats folded, the space increases to 1086 liters. If you decide to do paddle- or kiteboarding on Samui, we will provide you with a free roof rack for transportation of boards. Four adults fit easily inside the car. In addition, the small size of the vehicle gives an advantage when parking, which is important in the central part of Samui and near the main tourist attractions of the island. 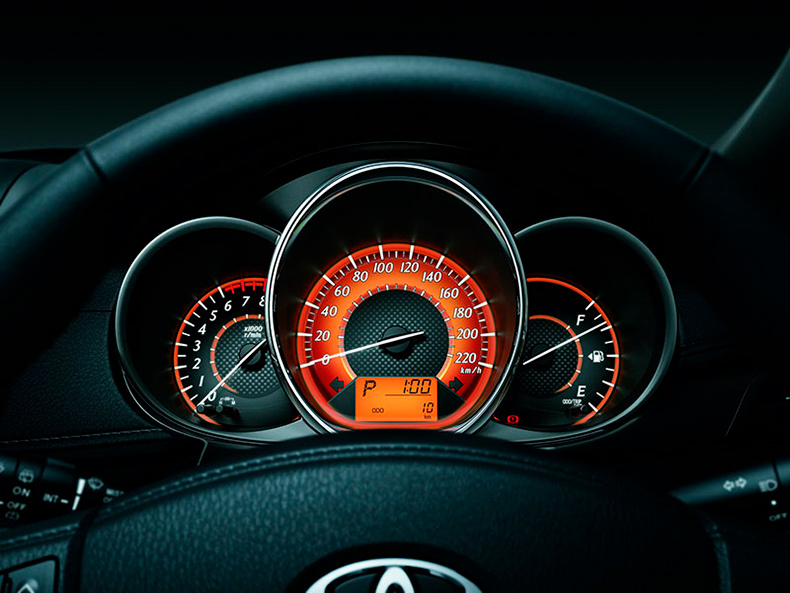 A great advantage of renting Toyota Yaris on Samui, especially when compared to large cars, is low fuel consumption. Its small engine of 1.2 liters has a maximum horsepower of 68 hp at 6000 rpm and a torque of 93 Nm at 3600 rpm. The fuel consumption in the combined cycle do not exceed 6 liters per 100 km.. It is important to remember about safety on the road in Thailand. Any car on the island will always be safer than motorcycles. Traffic on the island is dense, the roads are not always good and local driving culture is far from exemplary. And on top of that, not all vacationers possess enough skills to ride scooters confidently. In crash tests conducted by Euro NCAP, the car earned 35 points and a full set of five stars, which again is a serious achievement for a car of this class. If you came here on vacation with your children and you want to move safely around Samui, there is no alternative to a car. Take also in account the comfort of traveling around the island on rainy days. When in a car, you do not have to cancel a trip to your friends or to the store because of the downpour. In addition to safety and economy, Toyota did not forget about comfort. The basic configuration of a modern Toyota Yaris includes electric power steering, the steering wheel and dashboard coating are made of high-quality plastic imitating leather, telescoping steering column, air conditioning and folding rear seats, car doors are equipped with double seals to improve sound insulation. Automatic transmission, powerful air conditioning, music: what else do you need for a comfortable drive around the island. A family of five people will get a lot of pleasure from visiting the tourist attractions of the island on such a car. Traveling to remote beaches or going on shopping trips will not be burdensome any more. Factory tinted car windows, a powerful air conditioner. You will not want to get out of the car in the heat. Keep in mind that by car you can go to the mainland, visit the sights of mainland Thailand. It is also more convenient to drive to the border for another visa in your own car than to toil and buck along in a bus. And there is one more, not the most obvious advantage... Not often, but all kinds of health problems can happen or you can accidentally be involved in an accident. When traveling by car, you can get to the hospital or take a sick person there with ease. When on a scooter, it is much harder to do. Taxis do not always easy to catch, and as far as the ambulance concerned, you have to know how to call it.